Smooth. Savory. Scrumptious. 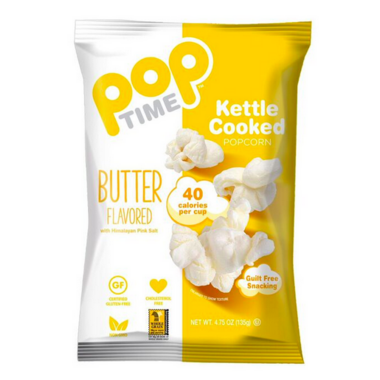 Such are the hallmarks of POPTime Butter Kettle Corn. Better yet, it is non-dairy and prepared out of select gourmet ingredients to achieve its yummy, buttery taste and texture. A combination of the tastiest elements of the two most popular popcorn varieties, this kettle classic is our elevated take on the world’s oldest snack. Nice and light tasting snack. Light and tastes great! Perfect snack! Not too filling. I love this stuff!!! Tastes delicious!